Bloggers and webmasters always researching one thing when writing a a blog post(s)or web page(s)that particular thing is relevant keywords.But maximum we bloggers/webmasters do n't know what is this keywords and what is the uses of this keywords.If any one wants direct definition then can say as keywords are a group of words which carry the full story of a blog post or web page. a.You know your business much better than anybody else.You know the special terms that are used in your branch and you know what you should search for when you are looking for product(s)/service(s)like yours. b.Your customers do n't know as much as you. They do n't know your terminology and they might use totally different keywords. c.Did you consider the intention of the searcher ? Just because a keyword is used very often on search engines it does n't mean that you will get many customers/visitors.People who find your website through a special keyword might not be interested in purchasing or taking your services. a.Get relevant keywords instantly attract more website traffic via creating Google-friendly content which Rocket your site to the top of the search engine results. b.Long tail keywords can be highly relevant, give you a much better chance of ranking well, and often convert well too.That means more visibility for your business/blog or website. c.Steal your competitors’keywords via Google trends,Adwords tools and many others tools available online.Which gives more visibility for your blog or website. a.Is a keyword really worth targeting?Ya it is worth targeting so get an expert’s view of the competition with an accurate measure of your competition,you have to able analysis the competition algorithm with the most accurate on the web. b.Keep tabs on keywords' rankings by tracking targeting site’s ranking on Google for up to 100 of your most important keywords. 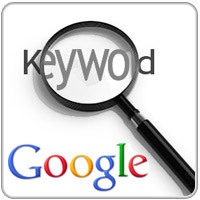 c.The best keyword strategy is to target keywords that are higher in demand, and for which there is little supply. A search engine's chief role is to find keywords that are relevant to searches made by Internet surfers.The criteria set to determine how relevant these keywords are differs from search engine to search engine and the dynamic of these criterion is also constantly changing due to the nature of technology and the web. There are some keywords that have developed great popularity amongst searchers and can be considered the most searched keywords on the net or within a specific topic or subject matter. The general rule-of-thumb for a keyword to be deemed relevant is that it should appear in a few locations on your web pages and in a certain percentage of repetitions throughout the page.These areas should include the body of your text,the page title and the meta tags.But these rules are not work always well some time search engine uses it's own works rules which are fully hidden. I would be happy to hear what you thing of it?